This time last year, I was sitting in strategic planning meetings with myself trying to figure out how I was going to brine and transport a 26lb. turkey for the family gathering. 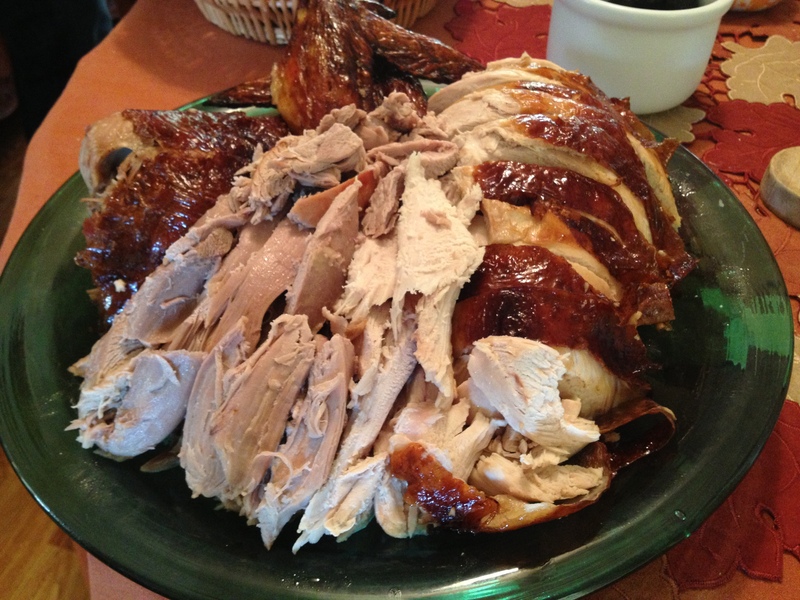 I got a pinch over-enthusastic about the Diestel, range raised turkeys that The Ventura Meat Company was bringing in, so I signed us up for one without consulting my mother in-law first. 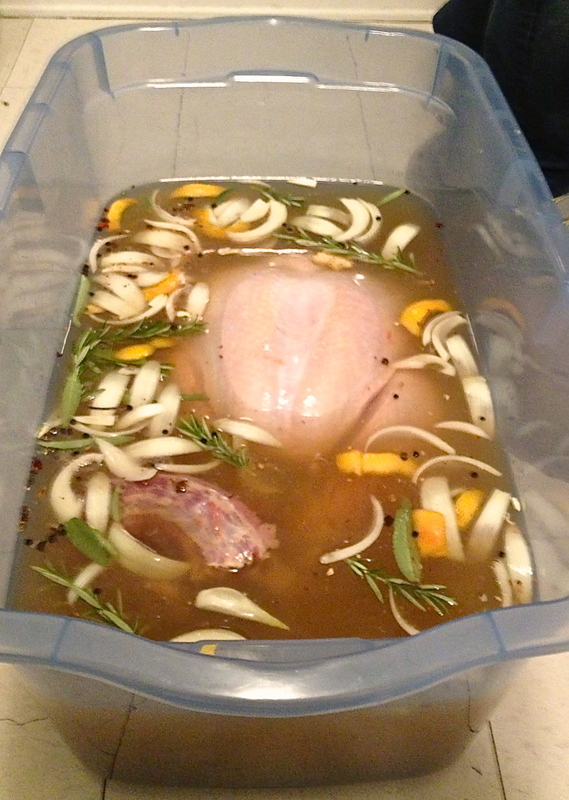 It was my first attempt at brining, and the first year that she wouldn’t be handling the primary guest of honor. The linked article below from Kaufmann Mercantile wasn’t my resource last year, but is a great stepping stone to brining. A simple web search will also yield thousands of suggestions. 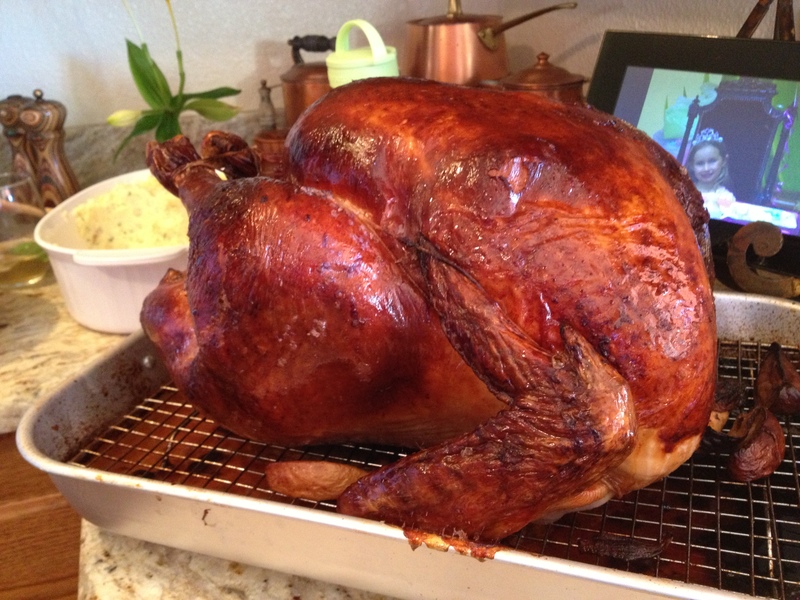 The one tip I would offer that Frank and Jess forgot to mention is that, after securing the proper sized vessel within which to brine, make sure you clean it out really good and sanitize it before adding the turkey or brine. You don’t want to contaminate your brine or realize that there’s a “secret ingredient” floating and have to scrap the whole thing. And although Jess foils then browns and I put on an initial browning, then foiled, the concept is the same. 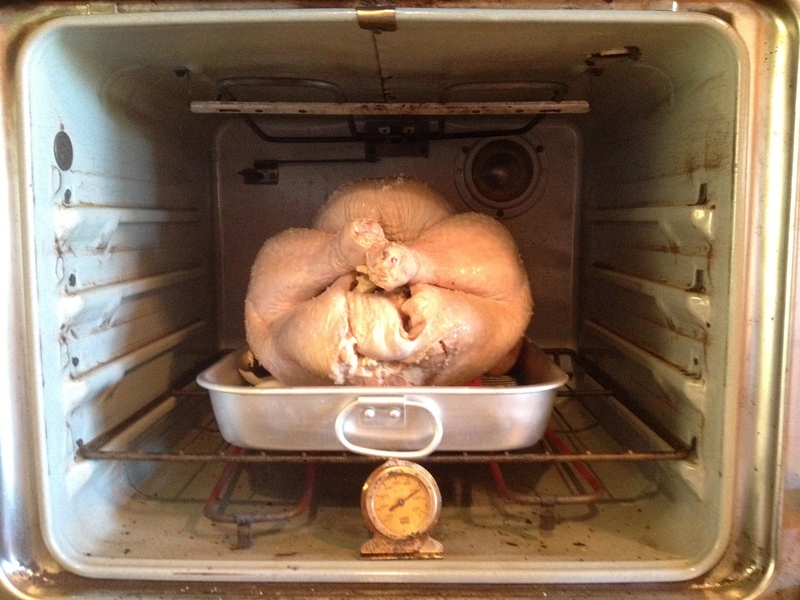 Bottom line: the turkey needs attention throughout the process. Happy Brining and Happy Thanksgiving. 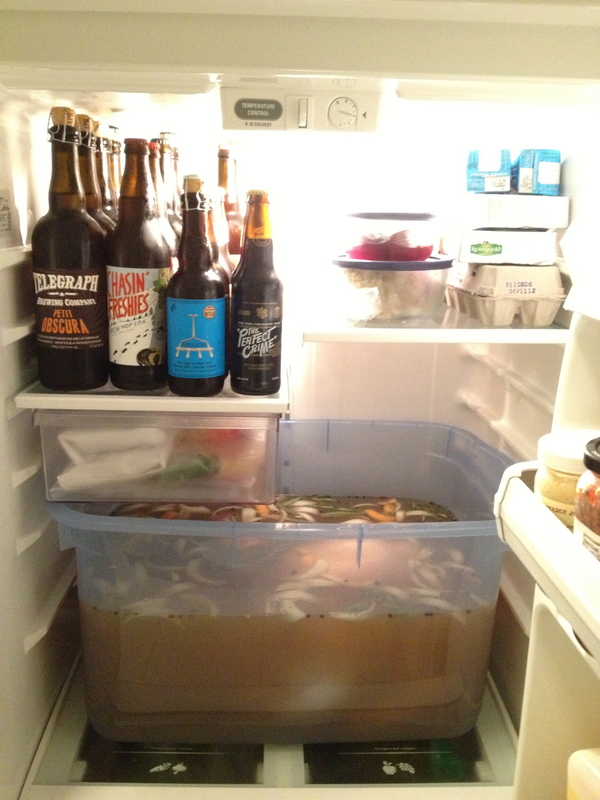 Had to rearrange the refrigerator in order to fit the turkey in while brining. Initial brine – grapefruit peel, sage, rosemary, onions, peppercorns, rose hips, apple cider, flake salt, brown sugar and some other good things. 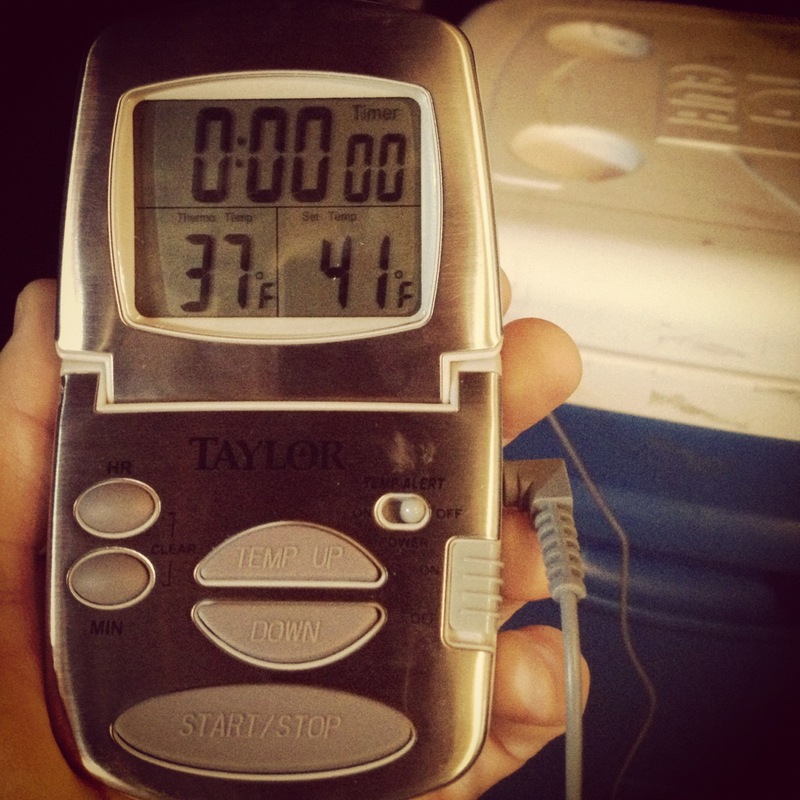 Thermometer used during transport and for monitoring while the turkey continued to brine overnight. Roasted for 30 minutes at 500 degrees to start the browning. Time for foil. Visit the Kaufmann Mercantile’s blog article by Frank Caracciolo, with Jess Hayden Mattheus of Hearth & Table, for some good info and ingredient suggestions. 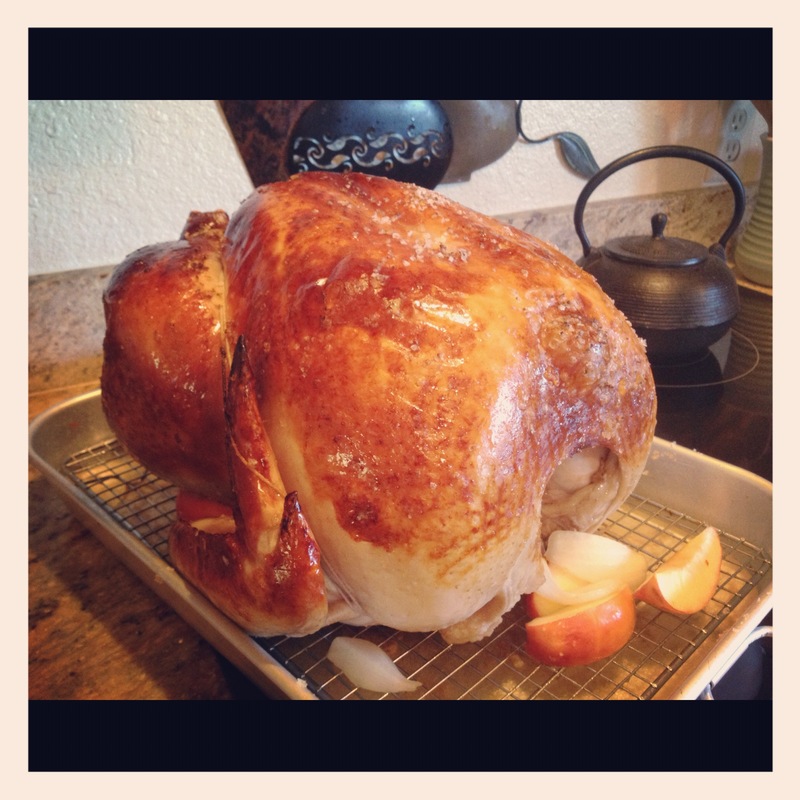 Gallery | This entry was posted in Food Vibrance and tagged Brine, Brining, DIY, Thanksgiving, Turkey. Bookmark the permalink.